When Google Assistant was first unveiled at Google I/O last year, it promised to be a more natural voice assistant - similar to Siri, Alexa, Cortana, etc. It also serves as an Alexa competitor, with Google positioning Assistant for use with third-party devices and services. 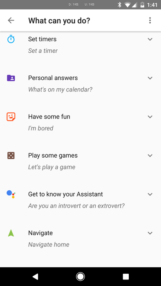 Right now, Google Assistant is officially available on Google's Pixel phones, the Google Home, Google's Allo chat application, and soon Android TV. Assistant varies in abilities depending on the app/device being used. But there is one key advantage to Alexa over Assistant - it's the same everywhere. Your Amazon Echo will have the exact same functionality as your Alexa-powered smart refrigerator. 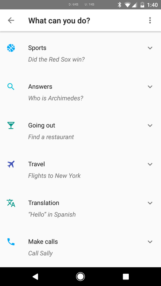 Google Assistant doesn't have the same universal functionality, with it varying in abilities depending on the app/device being used. The most glaring issue, at least in my opinion, is reminders. 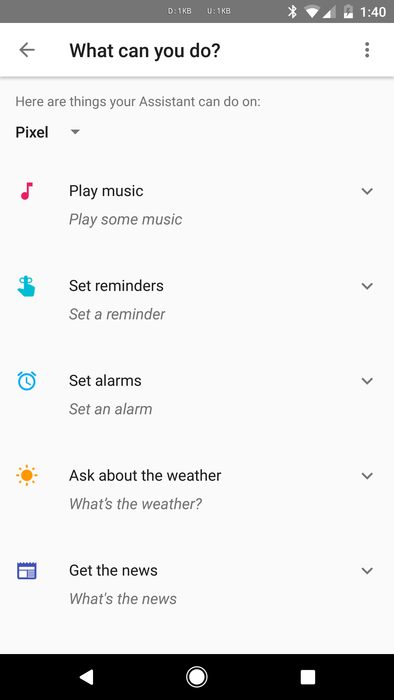 You can ask Assistant on Allo and the Pixel to set reminders, but creating a reminder on the Google Home still isn't supported. 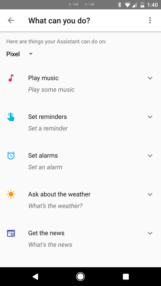 I would say more than half my interactions with Google Now/Google Assistant have been creating reminders, and the fact that I can't use my $129 Home to create them is incredibly annoying. You can't create or manage new calendar events either, only ask for a summary of upcoming events. 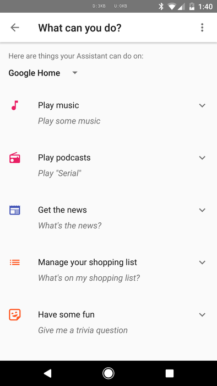 Google Assistant actions on the Google Home. 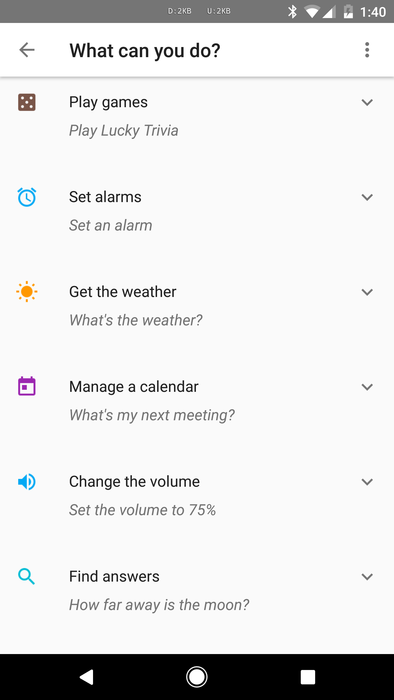 Google Assistant actions on the Google Pixel. 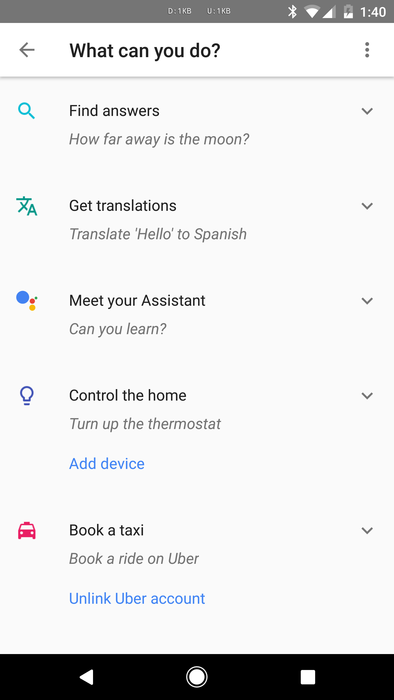 There are several actions that work on the Pixel's Assistant, but not the Google Home. Sending Hangouts messages, reading emails, and other personal features don't work on the Google Home. 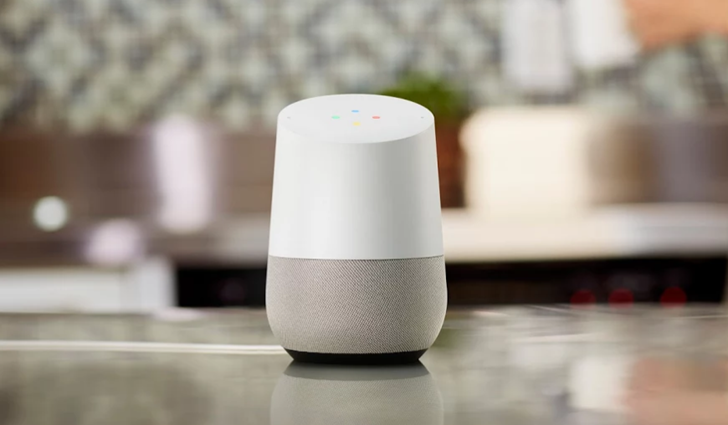 This is likely because Google hasn't added any sort of authentication method to the Home yet, but the 'Trusted voice' feature has been in Google Now for years. If I ask my Pixel to open an application or send an SMS message, my Home will often respond from across the room with "That isn't supported yet." 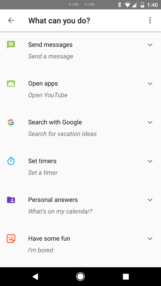 Another problem becomes apparent if you have a Google Home and another device with Google Now or Assistant. Instead of everything in the room responding to your "OK Google" requests, only the device closest to you will respond. Thanks to the fantastic microphone on the Google Home, my Home will often respond even when my phone is directly in front of my face. 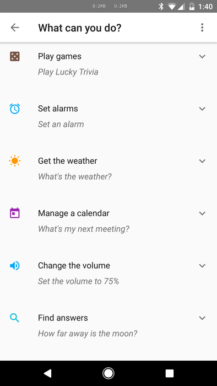 If I ask Assistant on my Pixel to open an application or send an SMS message, my Home will often respond from across the room with "That isn't supported yet." Even more annoying than the gap in Home's functionality is that Google hasn't done anything about it. 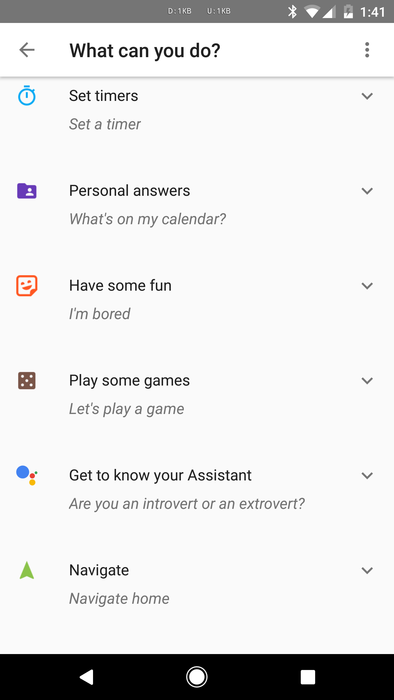 Since the Google Home launched, the only major change to Assistant's abilities has been Actions on Google, which allows developers to add custom actions to Google Assistant. 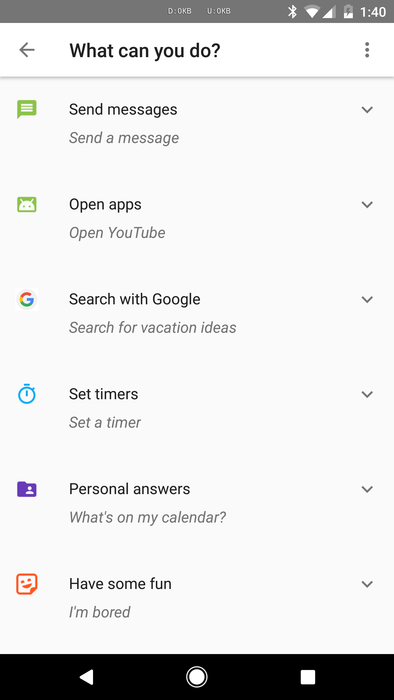 You still can't set reminders, or manage your calendar, or send Hangouts messages, or any form of authentication. 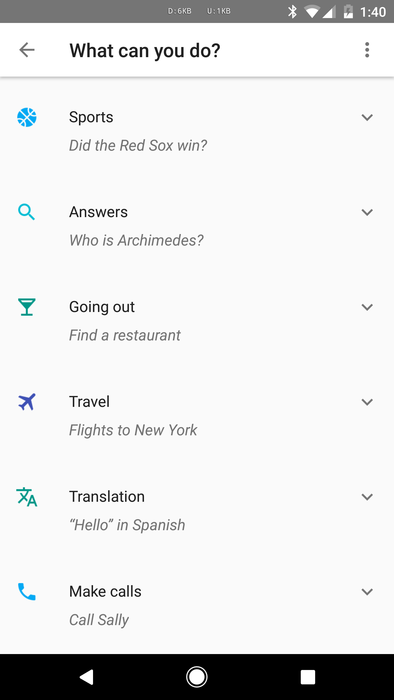 Google wants Assistant to be everywhere, but even on the company's own devices, it's a fragmented mess. Even features that have been a part of Google Now for years, like music detection, are missing from Assistant on all platforms. Needless to say, Google has a lot of work ahead of them if they want to compete with Alexa. Speaking of fragmentation, music detection worked great on Google Now.